Success is always a subjective topic. For some, it is achieved in winning and others in growth and continued improvement. 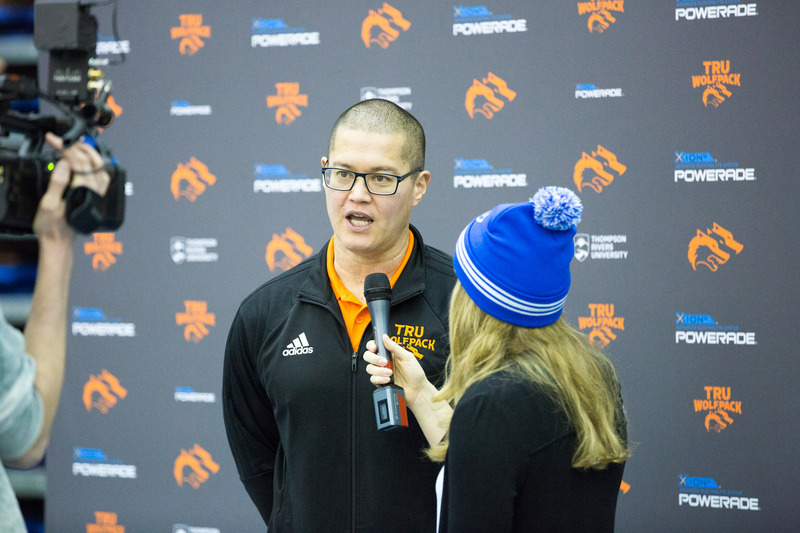 The TRU men’s volleyball program has been successful in Canada West where they’ve reached the nationals and won a bronze medal. The man who has overseen that for the last decade is head coach Patrick Hennelly. Hennelly was appointed coach back in 2006 and has helped the program go from strength to strength over the years. He began as an interim head coach before being appointed full-time by then program director Kelly Olynyk. Feeling positive about his team’s season, Hennelly felt the momentum they had at the start of the season was carried over from last year. “We kept going from where we finished last year,” he said. He also acknowledged that his team underperformed in the second half of the season. The ’Pack was 7-3 going into the break but ended the season 11-11, in seventh place. Hennelly had a lot of praise for the team’s best player, Tim Dobbert. Dobbert’s impact will be missed greatly by TRU and the ’Pack will have to find an international student to replace him. The difficult part will be getting a player who will provide similar production. The biggest achievement for the WolfPack this season was beating Alberta, the win was the biggest in program history. Hennelly felt the win was a big mental hurdle for the team to overcome as they had been beaten by Alberta numerous times at the nationals. The win was a massive achievement largely because the team was playing on the road. Hennelly described playing on the road as giving his team a ‘50/50’ chance of winning. The toll of travelling can affect preparation and the food can differ at each location but not having the pressure to perform in front of your home fans can provide an advantage. Hennelly expressed the need for more consistency from his team and sited the difference in performance from before and after Christmas as an example. He acknowledged that he expects his team to be one of the best in the country and he has every right to that belief given the program’s history.